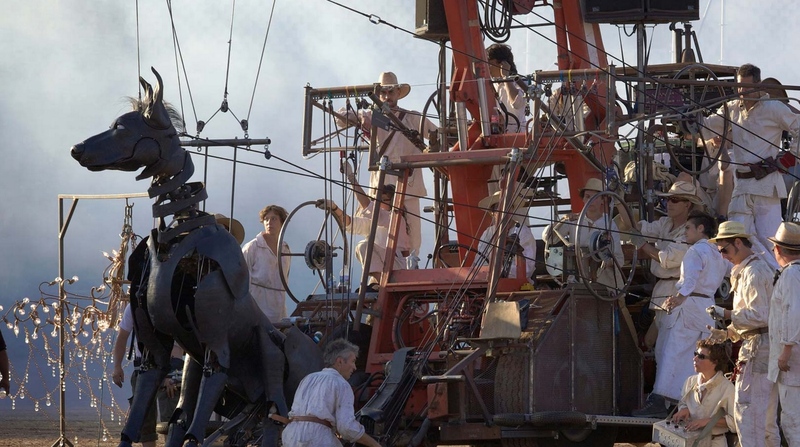 For Further Research: The Royal de Luxe giant puppets of Nantes in France. Well it’s past time for a little update on Gravity From Above, especially since the fundraiser is officially over. Yes indeed, the project did indeed raise funds through Hatchfund, funds that we were able to keep. And that’s good news. Our final total, after the remaining stragglers had been tallied, was $5720. As I have pointed out before, this amount in no way made it possible to get back to Europe for interviews, at least not this spring as I had hoped. But it did allow me to get a computer dedicated to film production, to get Final Cut Pro X and several other editing tools and to begin cleaning up the footage from 2102 journey to make them more presentable in the future. I have begun the process of learning the program and should have something to show for myself soon. Fortunately the iMovie system I’d been using before is close enough to allow me to skip many introductory steps. 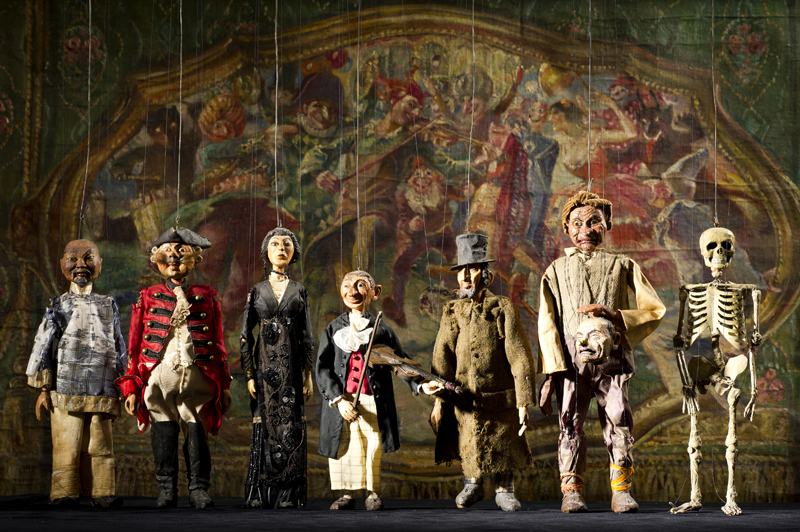 For Further Research: The Ljubljana Puppet Theatre in Slovenia. So now what… Well here are my new thoughts. I am applying to UNIMA, the international puppetry organization, to which I am a member, for special funds, and there are some legitimate hopes there. Next I have finally been given the connection information to the wing of the Henson organization that might be helpful for making a film. And I have also applied for another grant from another source which could be quite useful. And finally I will be discussing things with the Swiss again soon. And the good news on that front is that I may have a solid lead on a Swiss Director. For Further Research: The Relationship between today’s Dolls and Puppetry. 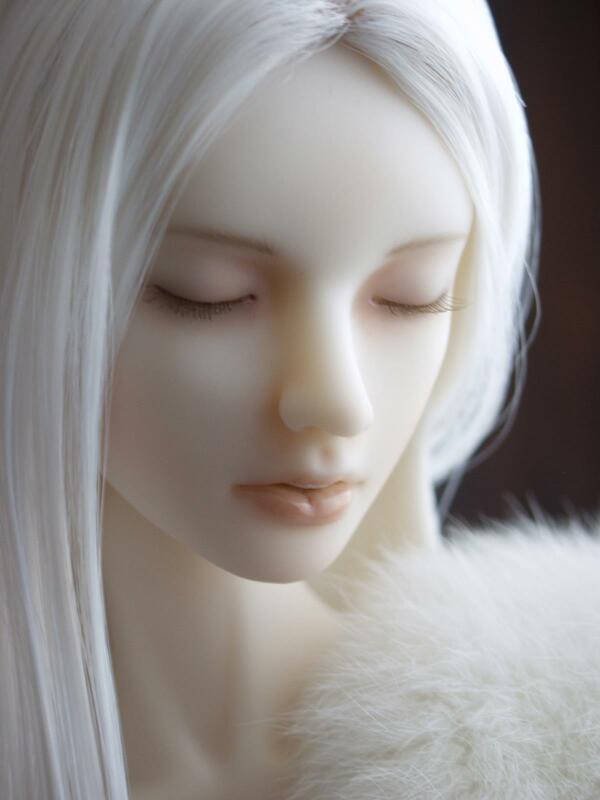 A BJD doll. I am so glad that this fundraiser is over. These things really are draining, especially three months long with a dire family crisis in the middle. But, no matter what, it will be a long time before I dare attempt it again. You can only tap your base of support so much. I’ve done it successfully twice in three years. I’m also extremely grateful the 59 folks thought enough of me or the project to kick in some cash. Sometimes the lesser amounts were just as inspiring as the larger, especially when I knew how cash strapped some folks were. I am always astounded that anyone will donate to something I’m doing. And so I will get back to the work a creative person should be doing. I really don’t believe selling one’s self should be a part of the job description, but the times militate against those ideals. For Further Research: The Connections between Puppets and Masks. 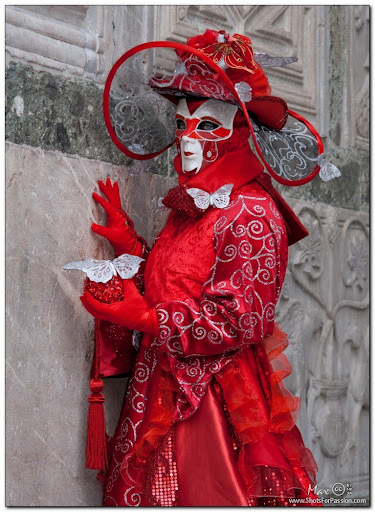 A Venetian Mask and Costume. Thanks to all for the once and future support. I am not finished by a long sight. Keep an eye on this project. Now let’s get back to talking about puppets! PS. The little gifts should go out within a month. This entry was posted on March 2, 2015 by The Anadromist. It was filed under Crowdfunding, Documentary, Film, Gravity From Above, Puppet Documentary, Puppet Film, Puppetry and was tagged with Crowdfunding, Documentary, Film, Gravity From Above, Puppet History, Puppets.